As part of our 'Meet The Team' series we ask our sales team what they think is the ultimate hospitality experience for our VIP guests and what their ideal hospitality would be for, first up we have one of our Account Executives Daniel Steedon. My role as an Account Executive means looking after current clients that we have and making sure they are getting to the events that they want to experience. It is also building relationships with new clients, helping them to learn more about us, what we do and what events we have on offer. What event do you enjoy selling the most? Definitely the rugby at Twickenham, because of the atmosphere that comes with the game is second to none and the feedback we receive from Twickenham hospitality is always really positive. Following on from this what would you say is our most popular event? I would say two, any game at Twickenham, again as rugby is such a great event to experience hospitality at. Also Cheltenham, people book that year on year and again we always get great feedback. Our new facility for Hospitality at Cheltenham 2018 is making the event really popular. Out of all of the events that we do, which one would you want to experience hospitality at? Any horse racing event, the atmosphere at those events is great, it’s a fantastic day out whether you’re going with clients or with family and friends, and nine times out of ten its always sunny, so what more could you want! So as part of your job you have been to a few events, what would you say has been your favourite so far? My favourite one that I have attended would be the England v South Africa game as part of the Autumn Internationals last year. Mainly because we beat the South Africans for the first time in a very long time, the atmosphere was really buzzing as it was the first Autumn International. Out of our new events what are you most excited to sell to our VIP clients? 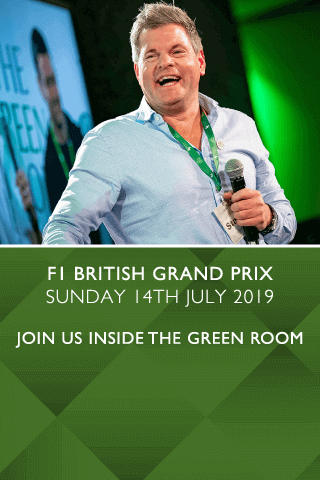 The one recently that I have been really excited to see is The Green Room facility at Cheltenham, the festival has been going on for many years and now we get to add another top-quality facility for our clients there. What would you recommend as the ultimate hospitality experience for our guests? Definitely the rugby, you know clients are going to have a great time there and it’s a great way for them to get more business, horse racing is also a great one to be part of. Henley also provides a great day out, you have brilliant views along the river where you get to watch some great rowing and enjoy the summer sun. As we have The Green Room moving from Twickenham to Cheltenham next year, what elements of the experience do you think are going to work really well at the festival. I really think that having the jockeys coming in to the suite and to get live feedback from them personally is going to add that extra touch that no other facility does. It’s also going to make the experience more personal for anyone that attends.